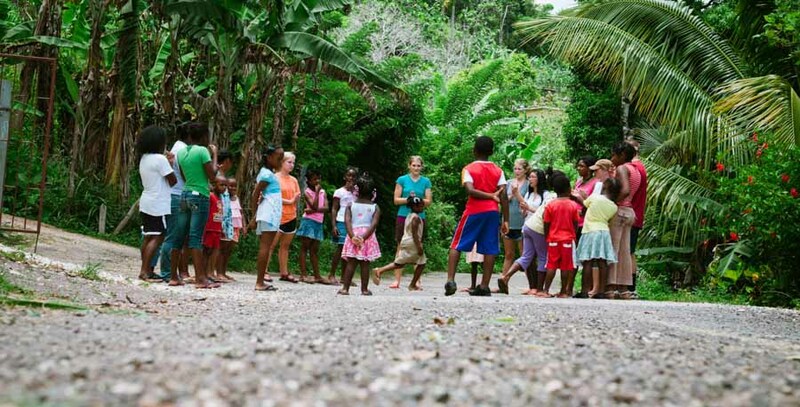 Will you look beyond and beaches and resorts to meet practical needs in Jamaica? Follow the winding road to the rural mountain community of Catadupa where we will have the chance to slow down and experience the simple life. On our Jamaica mission trip, we'll learn about the difficult history of this once thriving community. Formerly a prominent stop on the railroad line, local artisans would sell crafts, clothing and carvings to tourists who passed by each day. But when the train lines shut down abruptly, it devastated the local economy. As you walk along the abandoned tracks today, you’ll get a sense of what Catadupa used to be. Our team will work closely with the local church in Catadupa to bring hope and new life into the community. We will participate in construction projects on both community buildings and individual homes while interacting with children through Kids Club or sports programs. We'll discuss particulars about what to bring on the trip, how to fundraise, and answer any questions or concerns you might have.